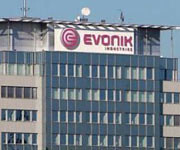 German chemical firm Evonik has started construction of its latest production plant for the manufacture of isoprene and isophorone diamine in the Shanghai Chemical Industry Park (SCIP). Worth EUR100 million, the new plant is expected to come on stream in Q1 2014. Products from the new facilities will primarily serve markets in China and Asia Pacific, with an annual capacity of 50,000 tonnes. In addition, Evonik is installing a new Technical Service Centre at its Xinzhuang site in Shanghai. The facility will include laboratories for applied technology with aims to develop isophorone product applications and provide technology service for customers throughout in the region.